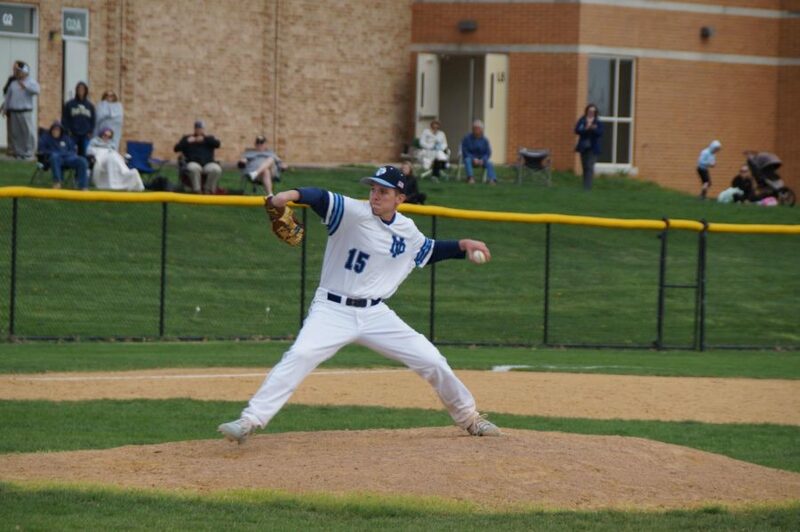 Joe Valenti on the mound for his complete game win. 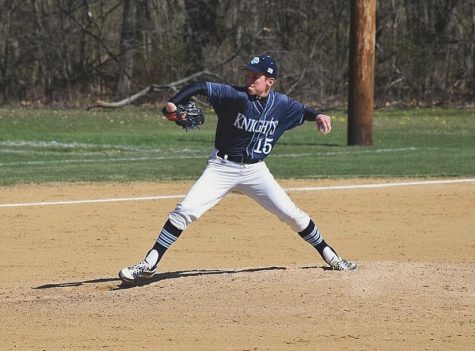 TOWAMENCIN- The Knights needed a good performance on the mound to quiet a potent Titans offense and senior Joe Valenti delivered. 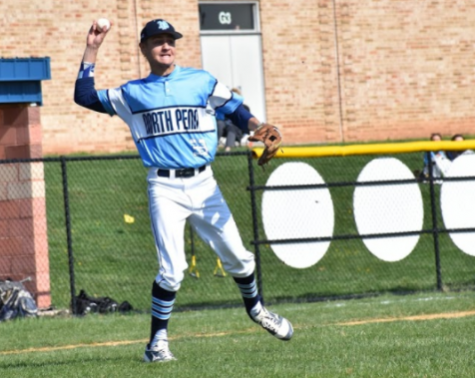 The North Penn Knights (4-4) beat the CB South Titans (4-4) 6-1 in a sunny Tuesday afternoon game at North Penn High School. “Obviously at this point, every win is big because we dug ourselves that hole. 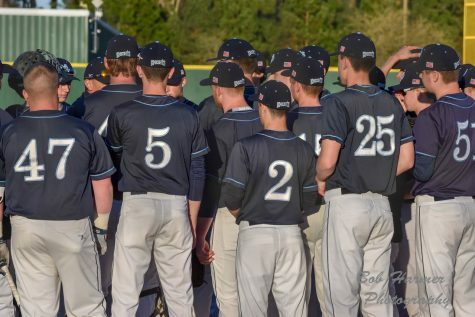 It’s a huge win in terms of needing to beat teams that are ahead of us in the standings which at this point, almost everyone is,” Head Coach Kevin Manero said. Valenti didn’t need time to settle in as he was ready from the get-go. 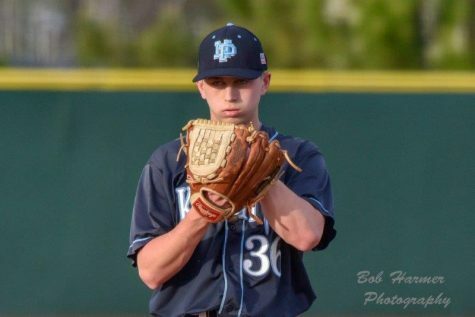 He started the day with 3 perfect innings before walking RF Jake McKeown and then allowing a double to DH Jake Trachtenberg. Still, it was a very solid game from Valenti who picked up the complete game victory. He allowed 1 run on 2 hits while striking out 9 and walking 1. “I had command of all my pitches. 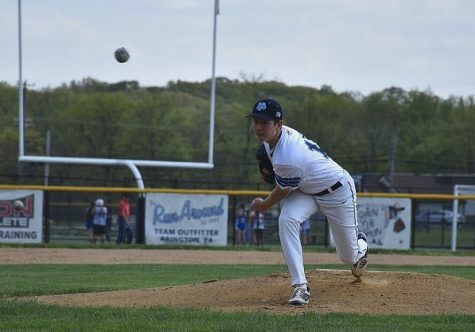 I kept the ball low and really kept them off balance with my curveball and changeup,” Valenti said. 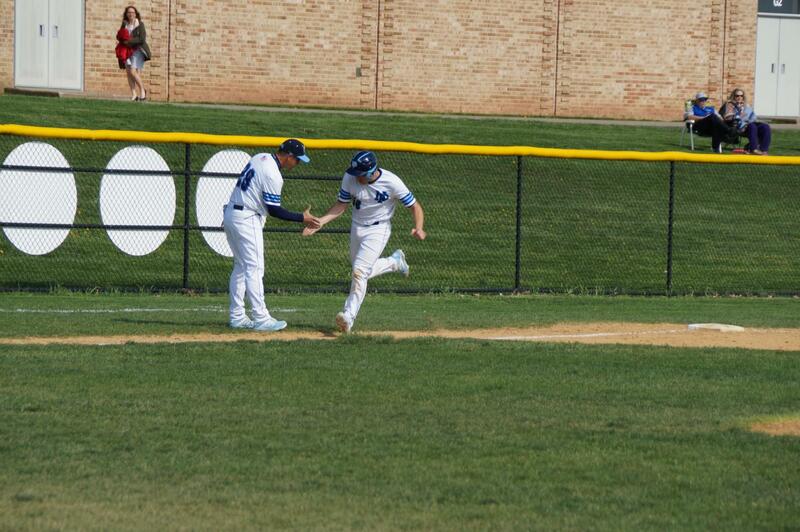 C Jake Drelick rounds third base after his leadoff home run. 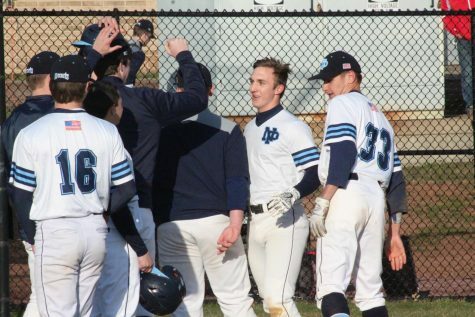 In the bottom of the first, the senior captain, C Jake Drelick, lit a spark as he hit a leadoff homerun to left field, the first homerun of the year for the Knights. Then in the bottom of the second inning, some heads up base running came in handy. With runners on 1st and 3rd, Alex Gilbert, who was the courtesy runner for Drelick, stole 2nd and that led to senior CF Kyle Schulze stealing home. The Knights held the 2-0 lead. In the top of the 4th, the Titans got on the board with an RBI-groundout from 3B Bryan Rossi. That would be the only run Valenti gave up. 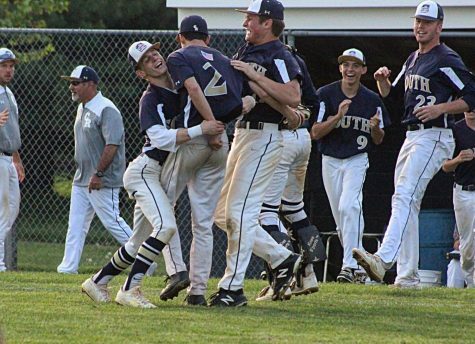 It was still anyone’s ballgame until the bottom of the 5th, where the Knights scored 4 runs. With the base loaded, Schulze drew a walk to bring in a run. 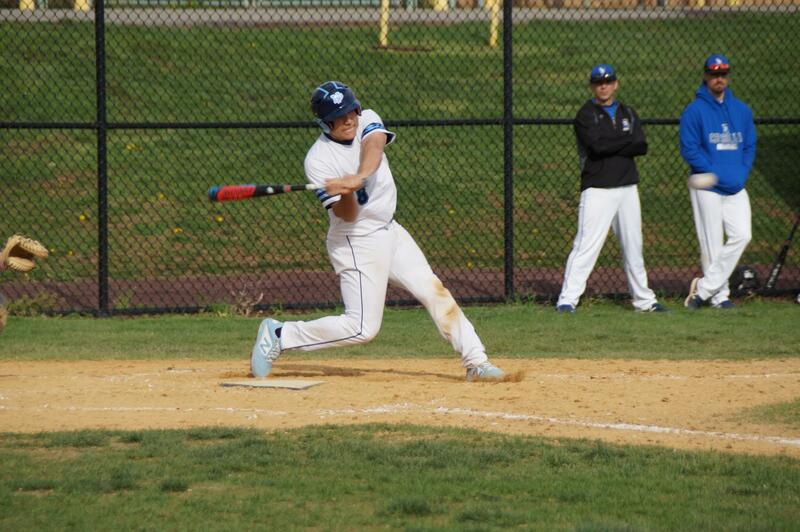 Junior RF Ryan Feiser followed with a sac fly to score junior LF Colby Chan. The next batter was Drelick who came through again, this time with a 2-RBI double. 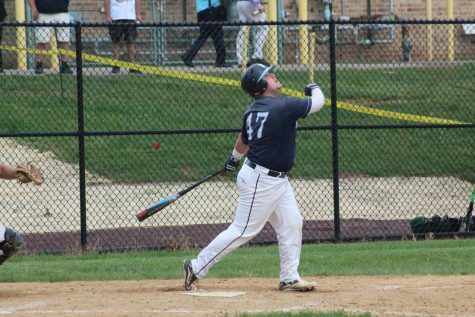 Drelick was 3-4 with 3 RBIs. “I was really seeing the ball well. We working on it during practice about eyeing it up and kinda keeping your head down and I saw it really well today,” Drelick said. 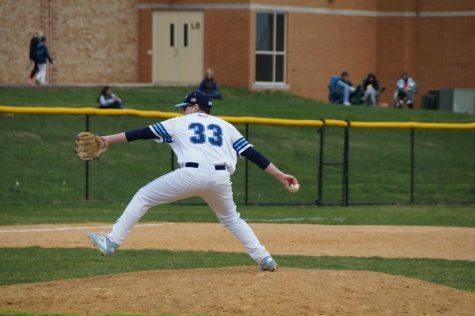 Valenti finished off the Titans by striking all three batters in the 7th inning on 10 pitches. The Knights will be on the road tomorrow against the Pennridge Rams. “The whole deal is that as nice as it was today, we have to come out ready to go tomorrow. We don’t have school tomorrow because of the Easter break so the worst thing we can do is get lazy and lay around the house all day and then come tomorrow not one-hundred percent ready. You just can’t take a day mentally off when you’re climbing out of a hole, so I think the important thing is to show up tomorrow with the exact same intensity and concentration today and then we can take a little bit of a breather and then get ready for some more tough games next week. 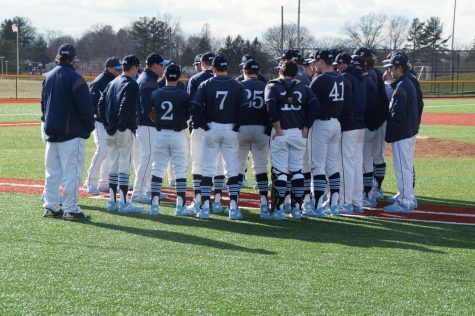 It will not get any easier as we go and like I said, we’re in a tough position because we really have to grind out as many wins as we can here to get ourselves back in a good spot,” Coach Manero said.